Have I told you all how crazy the past few weeks have been? On October 13th, my daughter fell on her weak side (her left arm that has no movement) and I took her to the ER once I saw how bruised and swollen it was. It was broken. OMG. Heart attack. She had to have surgery within the next few days. Once her surgeon opened up her arm- the distal (lower) end of her humerus (upper arm bone) was shattered just above the elbow. He had to clean out the shattered pieces, put in plates and screws and she had to stay overnight in the hospital. If you follow me on Instagram, you've seen the photos of her super cool rainbow cast! We have a rainbow cast! In a cast for 4 weeks but bandages are gone! Overall, she did great and she was finally released to go back to school and me back to work after three weeks. In the meantime, going to the store and shopping for what we needed just wouldn't work for us! Let's put it this way- shopping online and arranging to pick up has been a lifesaver. 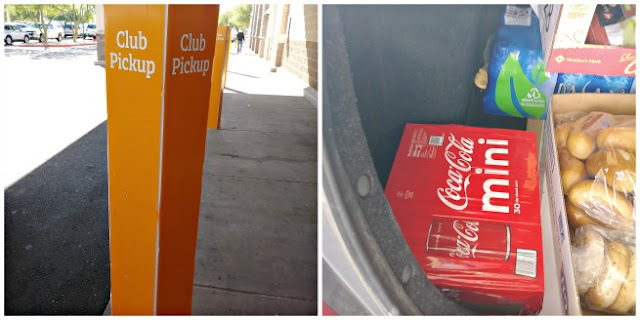 I just learned that Sam's Club has club pickup! Order through the app, arrange a day/time for pickup and check in! Some stores have the option for the associate to bring the items to your vehicle and others have it so you do need to go in but the associate will meet you with the items ready to go. I recently did this for some items we needed and it was a breeze. I did ask if I could get some help since I had my daughter and they were happy to oblige. I checked in and went back to my car (it was a drive through loading area) with my daughter and an associate brought my stuff to my car and he even loaded it! It was a huge time and life saver! I told everybody I know and now you! Stock up on your heavy items and boom! Energy and time saver. As you can see, I picked up Coca-Cola® Mini Cans (I love these little cans! 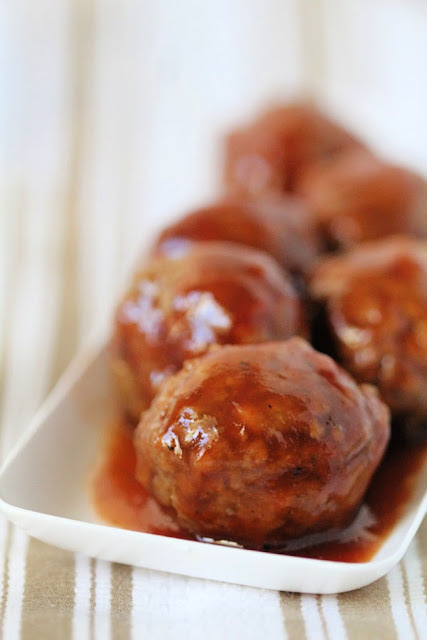 They're the perfect size) so I could make Coca-Cola® BBQ Meatballs! You can also pick up Sprite®, Gold Peak® Sweet Tea, Dasani®, and Diet Coke® to go with your meal! These meatballs are PERFECT for holiday parties, potlucks, or any gathering! 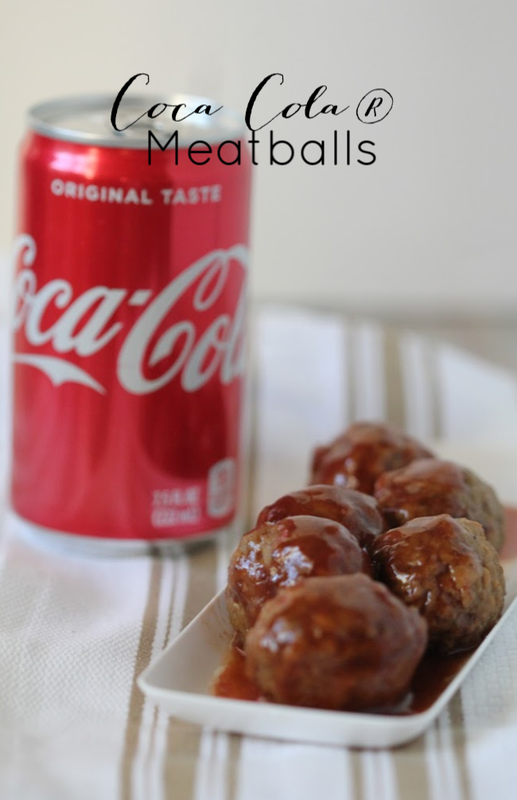 A mixture of your favorite BBQ sauce, Coca-Cola®, and frozen meatballs and you have a delicious and EASY party food! Coca-Cola® makes a great addition to many recipes because it adds an extra depth of flavor. Have you ever had a Coca-Cola® chocolate cake? HEAVEN! Or use it in a steak marinade- the soda helps tenderize the meat and add flavor. The same happens with these meatballs- they are so tender and have lots of flavor. It's delicious! Perfect party food featuring Coca Cola and BBQ sauce. 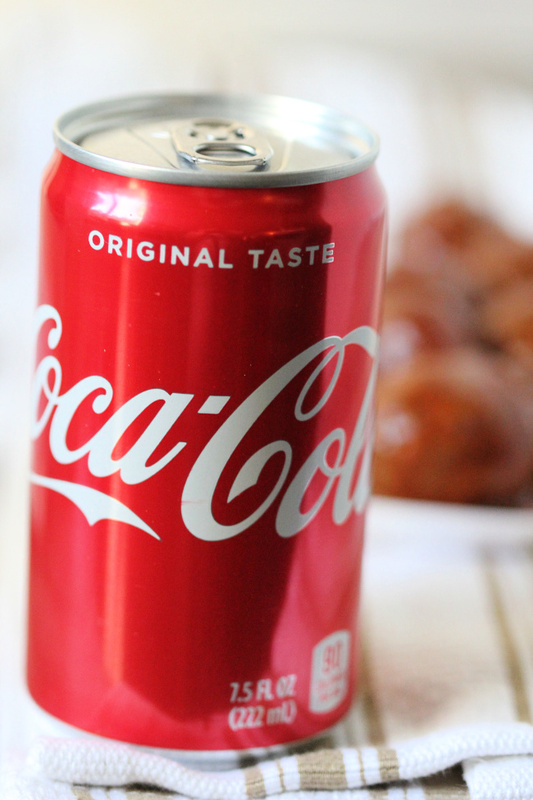 What are your favorite recipes using Coca-Cola®? What are your favorite party foods?